One of the more intriguing parts of Los Angeles to me is the Leimert Park/Crenshaw/Baldwin Hills area south of the 10 freeway. Maybe people have been scared off by the stories of gang violence and the like, but when you drive by the shops, churches and homes you sense a proud community that has a depth of culture many places lack. By over a two to one ratio, this region largely serves the African-American community. It is filled with many modest sized family houses with the coziness of a 1930′s & 40′s upcrop. The area is ripe with unique small businesses, boutiques and murals that a majority of our neighborhoods lack(I live in the valley). It is fifteen minutes away from the beach, downtown and the airport(sans traffic). Expo Rail has been a successful transit alternative and soon the Crenshaw line will give more north-south options. This area seems to be emerging out of its remnants of urban decay, but it still has a long way to go. Crime is still a major problem. You’ll find your fair share of abandoned buildings and unfulfilled construction. Which brings me here. Back in 2008, I started working in the community and people who would see me with a camera knew that I was part of some type of redevelopment effort. Many conversations were had, but the universal message I got was that people were seeking the same kind of amenities that any community would want. 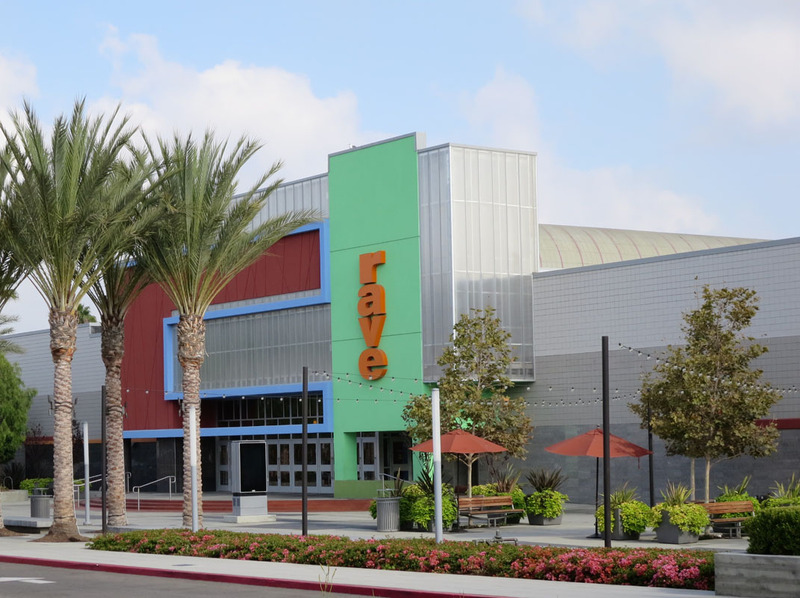 Most of us take for granted the pleasant little communes we call shopping malls, but many would travel to such places as Fox Hills, Westside Pavilion or the South Bay Galleria to have an experience that was safer and more upscale. Ultimately, they wanted to all this in their own backyard and who can blame them? We’re all Angelinos who hate traffic. 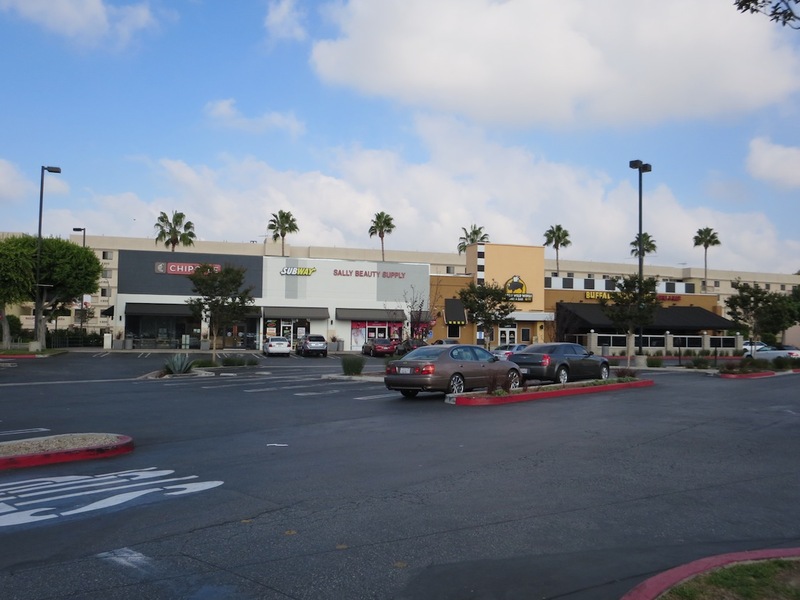 Santa Barbara Plaza(or Marlton Square) is a largely vacant collection of properties that lies directly west of the Baldwin Hills/Crenshaw Plaza. Surprisingly, the Grove/Farmer’s Market combination is roughly the same size. Santa Barbara Plaza was borne largely out of the 40′s and 50′s, but even thirty years ago people were starting to look into its redevelopment. Slowly, businesses started to move out while providing the opposite action of attracting the homeless with some bringing their campers. 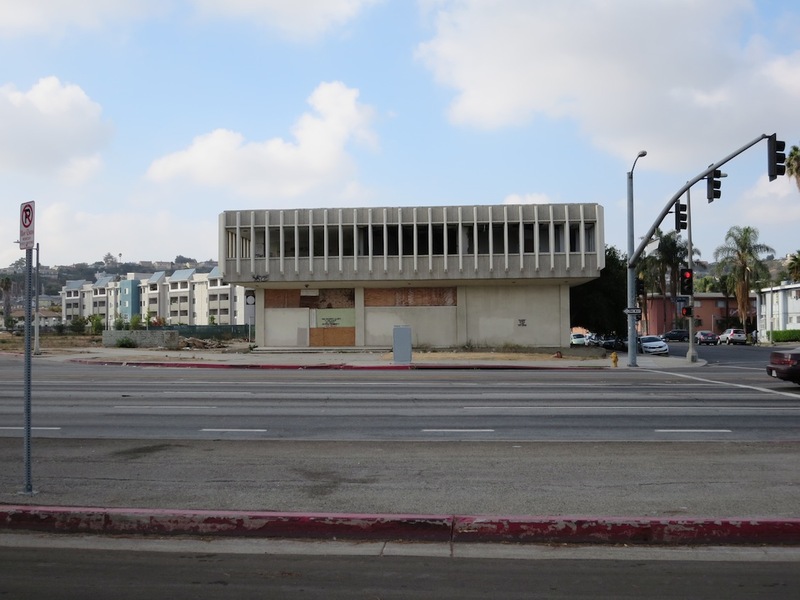 Ownership problems plagued the plaza and the portion owned by the Community Redevelopment Agency was put into limbo since Governor Brown dismantled the organization. 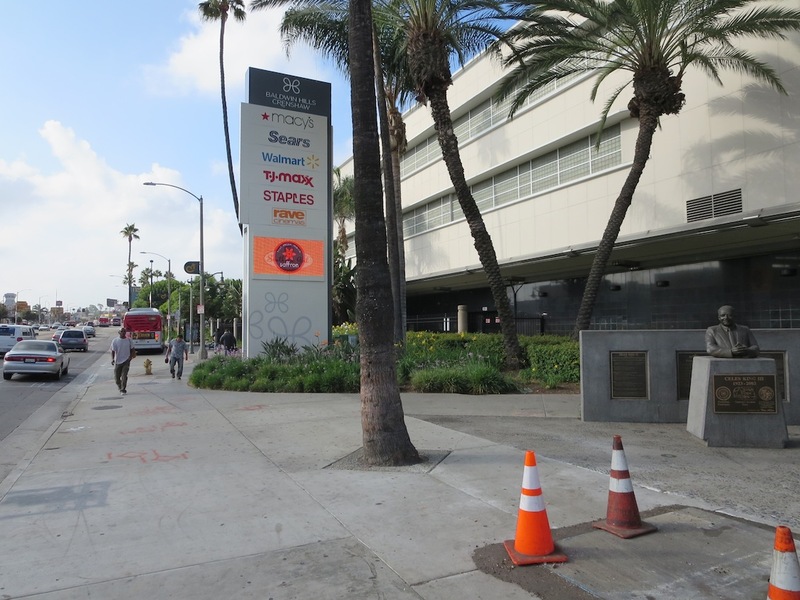 It can be much better explained in this article from the Leimert Park Beat. While many of the dilapidated buildings have been demolished since that time, the question begs what will come of this land? Part of the answer may lie with its neighbor. 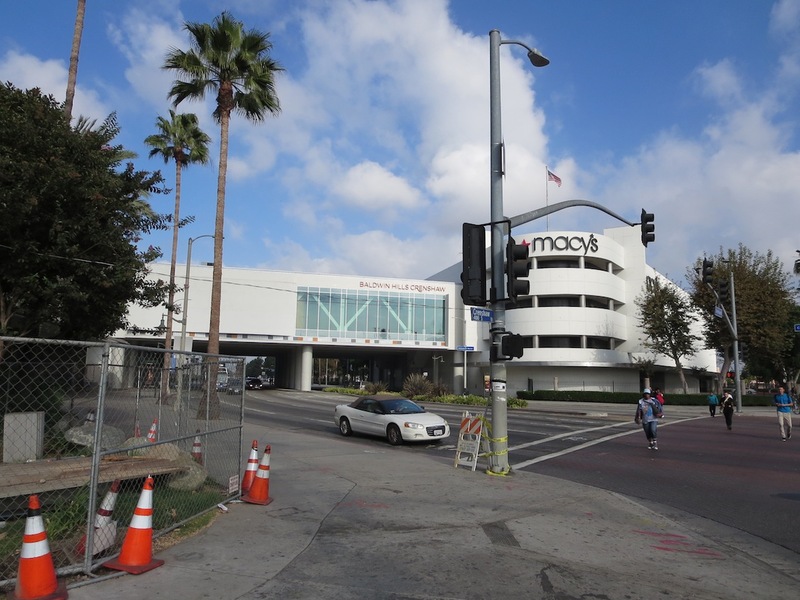 Crenshaw Plaza was facing abandonment issues of its own as stores and restaurants started to close one by one(although I think the Blockbuster died from natural causes). 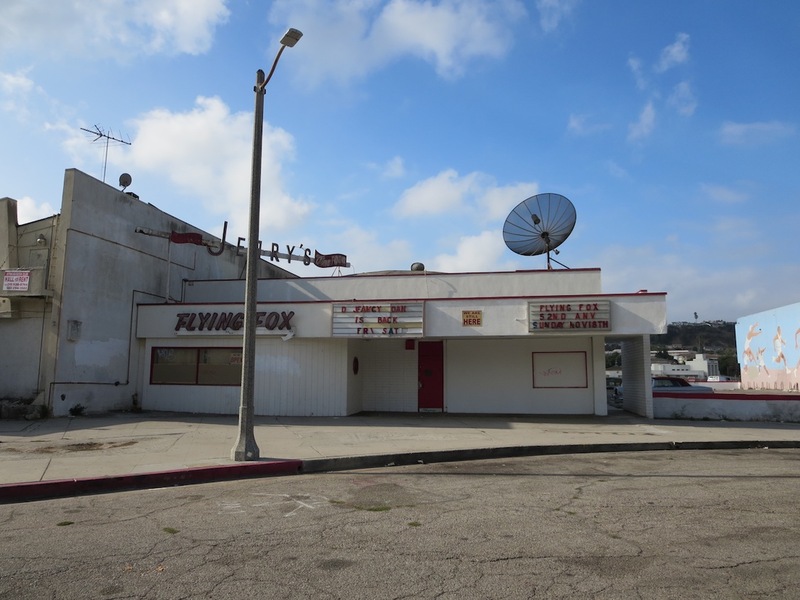 The addition of the Magic Johnson Theaters in the mid nineties brought hope to the area, but still businesses failed. In 2006, the plaza was bought by Capri Capital and extensive changes were made. The exterior was either renovated and/or modernized. The theaters transformed into a Rave pictures complex that makes you think of a developing Glendale. Lastly, Post & Beam is the type of restaurant I’d love to have in my neighborhood. Upscale California cuisine by an accomplished staff at non-Rodeo Drive prices. So much right has seemed to happen that you’d almost think that Westfield sprinkled their pixie dust on it. Can this happen to Santa Barbara Plaza? Currently a few buildings exist and I’m too afraid to check if they’re operating or not(I’ve only been able to make it halfway through season 2 of Breaking Bad). Jerry's Flying Fox. Still Open? Chipotle. A gift from the gods! Future sight of subway station? 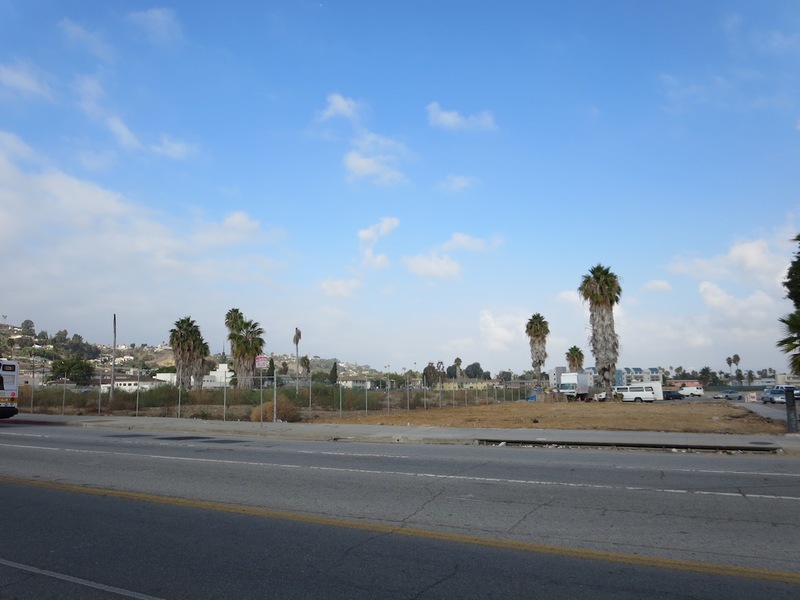 On the west side of the lot, the first “phase” of redevelopment was to start in 2003 with a new three building Senior Housing facility. Only one actually got built, but it remained unopened due to bankruptcy. The property was vacant long enough that when funding was restored, the building needed to be refurbished. 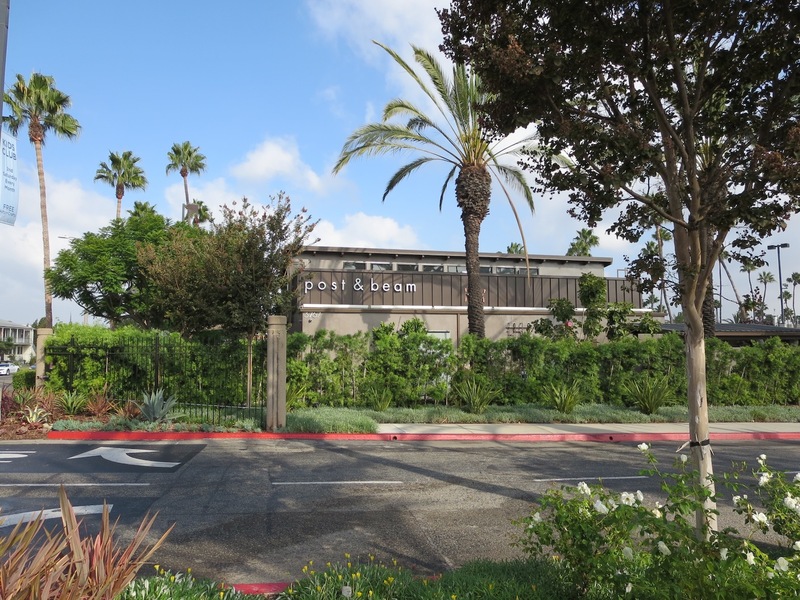 As for the rest of the 22 acre lot, Kaiser Permanente bought the eastern half to construct new office space over a year ago, but there is yet to be a shovel put into the ground. 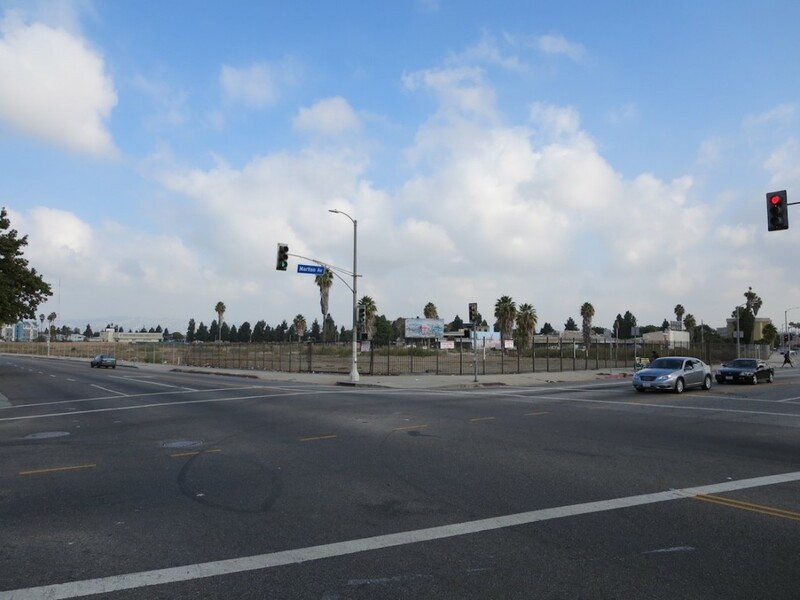 While Los Angeles seems to have picked up where it left off from the development boon halted by the recession, will someone take the mantle to create the vision here so many have hoped for? Even people new to the area can see the potential of growth. 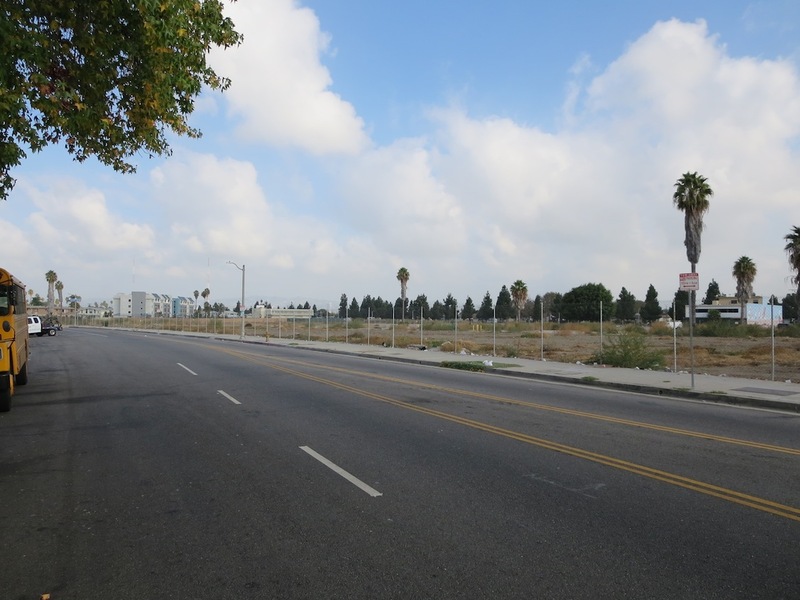 With the Crenshaw Line soon to come, one would hope something will be done while the impetus is still there. I’ve only been at blogging about Los Angeles for a few months. The good news is, there’s so much to write about that it never ends. As for putting it together, I signed up through GoDaddy and have been using one of their WordPress templates. I heard an amazing fact that the majority of websites are made with WordPress. I wish I had more time to tryout other functionality features, but so far this keeps me sane.